Our God is a God who wants to bless us. He designed us to desire His blessings. 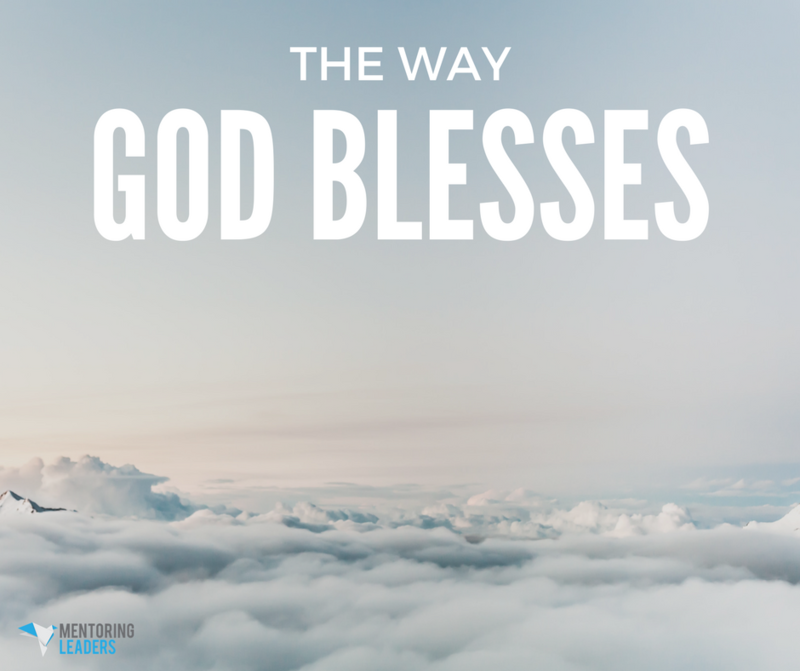 Blessings keep us yearning for and leaning toward the Lord and His help. Blessings keep us dependent upon Him. God doesn’t need very much to do a miracle. All He requires, though, is that we place ourselves completely in His hands and His control and that we consecrate our lives to Him. “Since the Lord your God walks in the midst of your camp to deliver you and to defeat your enemies before you, therefore your camp must be holy …” (Deut. 23:14). God is saying, “I want people with whole hearts, holy unto the Lord.” Blessings will follow consecration. “Then Joshua said to the people, ‘Consecrate yourselves, for tomorrow the Lord will do wonders among you’” (Josh. 3:5). The word “consecrate” means to set apart wholly unto Him and not to be used for any other purpose. God says that about our lives. We are not our own. Blessings follow consecrations. And so God has called us to consecrate our hearts. The Lord is saying we are going to work on three areas of consecration. The first area of concern is my mind, my thoughts. You need to know that the devil is a headhunter. If he can get you to think or believe that the way you think does not affect anybody else or hurt anybody else, he’s got you deceived. Your thinking does affect everything about you. The way you think affects your perspective; it affects your relationships. The way you think affects everything about you. That’s why God says that, even if nobody is listening, be careful! Watch over your heart with all diligence, for out of it flow the issues of life. It affects everything about you. Solomon says, “Furthermore, in your bedchamber do not curse a king, and in your sleeping rooms do not curse a rich man, for a bird of the heavens will carry the sound, and the winged creature will make the matter known” (Ecc. 10:20). What the Lord is saying is that even if you’re in your bedchamber or you’re in a hidden room, don’t harbor evil or negative thoughts. Don’t let your thoughts go wild and believe it won’t affect you, because it will be made known. Watch what you’re thinking. Why is God so concerned about thoughts? It’s much more than just thoughts. The way you think is a barometer of your heart. It’s a symptom of the true heart that you have. You’ve got to watch and make sure that you’re teaching your mind how to think biblically. If our minds or thoughts are pleasing to the Lord, then our actions are going to be pleasing as well. “… for God sees not as man sees, for man looks at the outward appearance, but the Lord looks at the heart” (1 Sam. 16:7). Man looks at the outward appearance, but the Lord looks at the heart. You can live a dual life by having a double mind. You have to train your mind to be like the mind of Christ. If you live a dualistic life, He can’t bless you because that’s not the way He blesses. Money needs to be a utilitarian thing, something you use. But when you start to fall in love with it, it gives you a deceptive kind of thought, a false sense of having a greater amount of control. When it does that, it turns into a god or, as the Bible calls it, a god of mammon. You begin to control people because you have more money. When that happens, it has you deceived and it’s called a deceptiveness of riches. If we become a people who continually says, “Mine, mine, mine,” we can actually lose our identity. We lose who we are and become a different person. One of the antidotes to keeping money from becoming a god is called the tithe or tithing. “… The purpose of the tithe is to teach you to always put God first in your lives” (Deut. 14:23). It’s to keep you from being deceived by the power and control of money. The tithe is simply this: whatever you want God to bless, put Him first in it. “So teach us to number our days, that we may present to You a heart of wisdom” (Ps. 90:12). What the Lord is saying is to live your days well so that you’ll live with a wise heart. Write down the things that you believe God wants you to spend time on. You have to say in balance because you can spend an inordinate amount of time on something that you can get really unbalanced. The devil doesn’t care what side of the boat you get off of, just as long as you get off. Remember, blessings follow consecration. Give Him your heart, your time, your mind and your money. When those things start to line up, watch what God’s about to do.